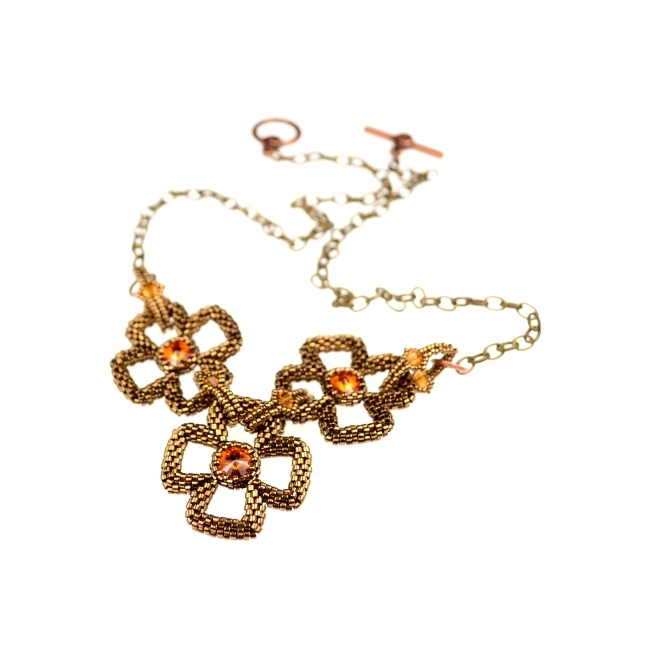 This necklace uses 3 components from my Quatre Flowers necklace. This project features in the April 2018 issue of the Beadworkers Guild journal. You can see the full necklace here, a reversible variation here and a pendant using a single component here.